Unlike many high-profile mainstream feature films, efforts have begun to secure an A-List Latino actor for the history-making role of a modern day action hero in the authentic spy thriller, “Killing The Street Children.” The actor cast for this pivotal, stereotype shattering role will be one of many leads of various ethnicities. The 30-million-dollar feature film, that is slated to begin production later this year in the United States and Brazil, has been in the works long before the lack of diversity in Hollywood conversations reignited after the 2016 Oscar nominations were announced and the controversial news broke that white British actor Charlie Hunnam was cast as the Mexican-American real life drug lord Edgar Valdez Villarreal in American Druglord. Based on true events and revealing once classified information for the first time, “Killing The Street Children” follows the plight of a former intelligence agent working for a highly secretive division of a U.S. government agency, Patrick Juarez, who is lured out of retirement and back into the shadowy and dangerous world of espionage. Family, drug trafficking, corruption and bi-national government relations are among the issues touched upon – all while chronicling the real life events of the infamous massacre of street children, despicably referred to by local shop owners as Vermin, in Rio De Janeiro, Brazil during the 1990’s. This gripping thriller written by O’Connor was drawn from his real-life experience as the former owner/operator of an international intelligence security company, based out of Washington, D.C., where he was closely connected to the people and events portrayed in the film. “Killing The Street Children” is an Irish Filmmakers Company and LatinHeat Productions co-production. 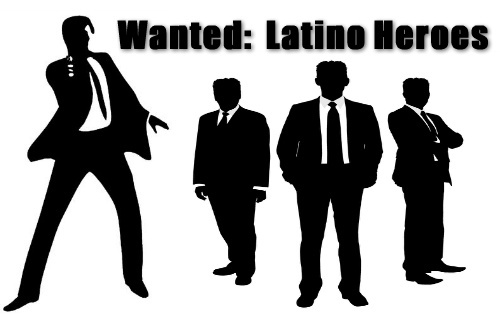 Producers are O’Connor, Castillo and Bel Hernandez of Latin Heat Productions. With his first-hand knowledge of the material, O’Connor’s masterfully-honed “Killing The Street Children” will undoubtedly resonate with a worldwide audience including the increasingly important Latino market, which was noted to make up 23% of all ticket sales despite being approximately 17% of the population, according to the 2013 Motion Picture Association of America’s year-end study. The “Killing The Street Children” news also follows last month’s release of a significant by the Media, Diversity and Social Change Initiative at the USC Annenberg School for Communication and Journalism which points to Latinos as among the least represented speaking roles in feature films and television, even though they make up about 17.4% of the U.S. population. According to the report, out of more than 11,000 speaking characters surveyed only 5.8 percent were Hispanic or Latino. PRSA seeks presenters for 2010 International Conference in Washington, D.C.